Purple Dots™ are the big picture thinkers who focus largely on the future. They are creative and love new challenges. They are great starters but can have trouble finishing things. They are inspirational and motivational. Yellow Dots™ are the perfectionists who ensure that a job is done properly and is completed on time. They are dedicated, hard working and responsible. They focus on the past and think in pictures. These are the people who can spot mistakes or flaws in any given situation. Red Dots™ are analytical and logical with a strong sense of fairness and justice. Facts are what they deal in and they have no problem living in the present. They prefer direct, concise communication and are great problem solvers. These people ensure that everyone plays by the rules. Blue Dots™ are very pragmatic and sensitive. They are very tuned into the world around them and truly care about others. They are considerate and caring, and fantastic listeners. They really enjoy doing a good day's work and having everything going well. It has revolutionised the way we write screenplays... It has changed the way we do business and has saved us hundreds of thousands of dollars as well as making the working environment a lot happier and less stressful. Fantastic day, great chance to look at how you relate to people and communication styles. Looking forward to putting into practice at work and at home. The benefits of my staff of 97 all participating in the DOTS programme are immense. Interactions are more considered and there is a greater understanding of individual styles. The workplace is more relaxed and staff are now more accommodating of “quirky” behaviour. Fantastic, very informative and insightful. Brilliant!! Very insightful-there is no right or wrong and it is great that we are all different. As we can't really change anyone or ourselves, we need to learn how to maximise our interactions with all the "others". 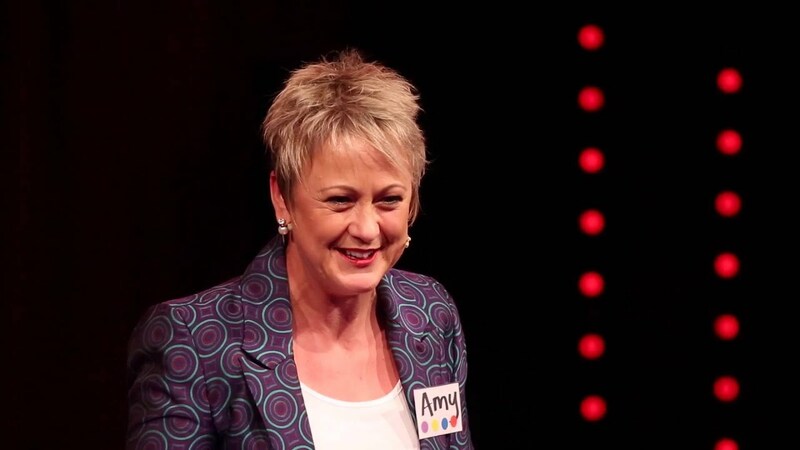 Passionate about improving communication of people, families, businesses, organisations, teams, workplaces and communities everywhere – Amy Scott (licensed Dotter™ and former lawyer) says “It’s not rocket science – it is simply learning how not to rub people up the wrong way!” Currently living in Melbourne, she is proudly born and bred in rural Central Otago, New Zealand.